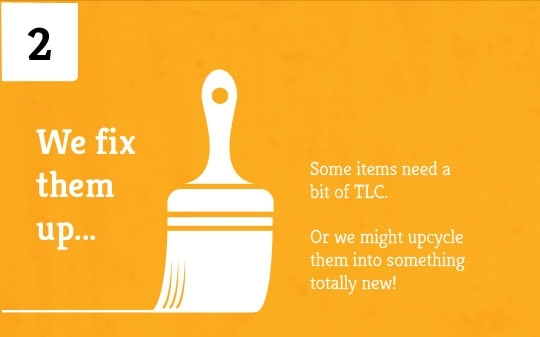 It's easy to give your furniture to Reviive - read on! 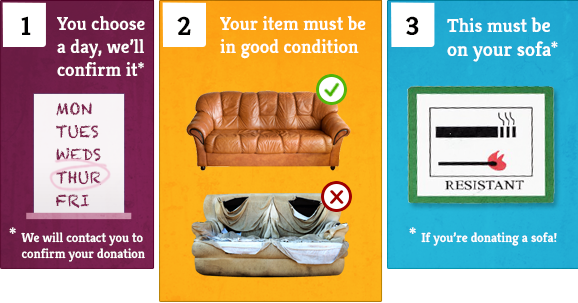 Click the orange 'Donate furniture' button to tell us about unwanted furniture you’d like to donate. If you can bring it to us that would be great, as you’ll help us out and save us money, but we are able to offer a pick-up service. When you fill out this form, we will contact you to confirm your donation. We can only pick-up donations Monday through to Friday with morning slots between 9am-1pm and afternoon slots between 1pm-5pm, We accept all donations at all our stores. We’re lucky enough to have lots of donations (thank you!) but that does mean we are very busy getting them ready for the showroom. So you can expect your donation to be allotted a date within 7 working days. Is the item to be donated in good condition and if so, does it have some useful life left in it? Sofas and mattresses - must be clean and have a fire label. 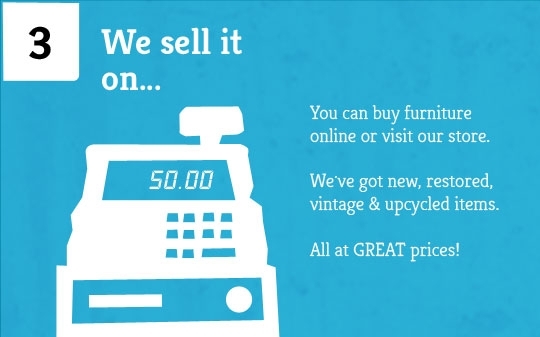 Use the reuse organisation again – donations prolong the life of household goods, help people on low incomes buy good quality furniture, reduce landfill and contribute to saving the planet! 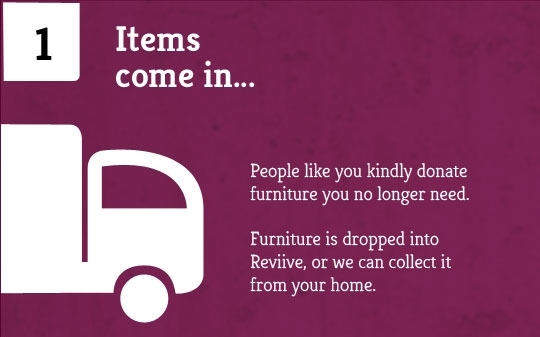 If you have items you wish to donate to Reviive, you can either bring them to us, or we can collect them. Either way, you can now book your donation easily online. All electrical items must be in working order. Are the Items clean, working and saleable with no stains or tears? 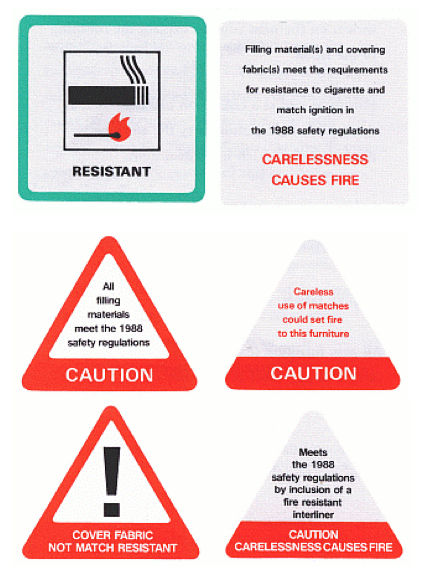 Do soft furnishings have fire labels? Is there adequate access and parking at the property for our vehicle? Are the items on the ground floor with appropriate room to remove them from the property? If the answer to all these questions is yes, we will negotiate and book you in a collection time and date. Time slots for delivery are between 10 am and 1pm for a morning slot and 1pm and 5pm for an afternoon slot. Please be aware that we are unable to allocate specific times outside these slots. 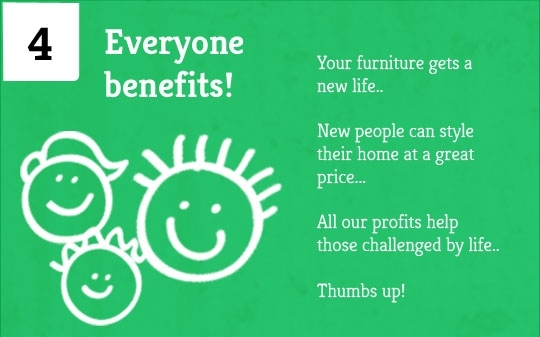 You will help us by giving the furniture you no longer need. We will take it from you with a smile and find a new use for it. This helps you, the environment and us because we sell it to raise the funds to employ staff and support our social aims. Because the cost of collecting furniture is so high and we have limited storage, we must be selective with the furniture we collect. Our van crews are carefully briefed as to the standard of furniture we will accept and what furniture our clients want. If s/he assesses that the furniture is not useable for our needs, s/he is given the authority to leave it behind. There are some items we can’t accept for reasons of health and safety. These include children’s equipment such as prams and cots.